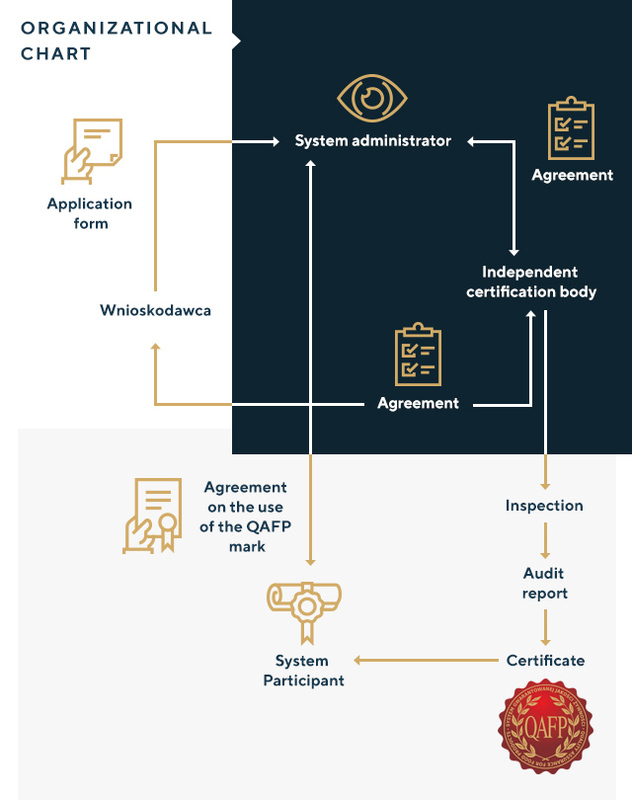 QAFP (Quality Assurance for Food Products) was developed in 2009 on the initiative of the Union of Producers and Employers of the Meat Industry, an organisation of enterprises from the meat industry. ★ combining knowledge and experience in a system approach to quality;. 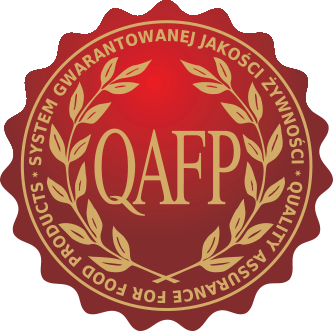 The assumptions of QAFP were developed by scientists from leading universities in Poland in cooperation with Polish meat industry practitioners and experts. On 11 December 2009, by the order of Minister of Agriculture and Rural Development, the QAFP Quality Assurance for Food Products System was recognised as a national food quality system. Ever since the network of participants of the QAFP System has been growing. QAFP System has a multi-product nature. The industry guidelines for respective meat industry sectors include production and quality requirements for all the production stages. Od początku System QAFP zyskał wsparcie organizacji konsumenckich oraz uznanie najlepszych ekspertów i naukowców na polskim rynku. Długoletnia strategia dla Systemu przewiduje jego udoskonalanie i rozszerzanie na kolejne produkty. 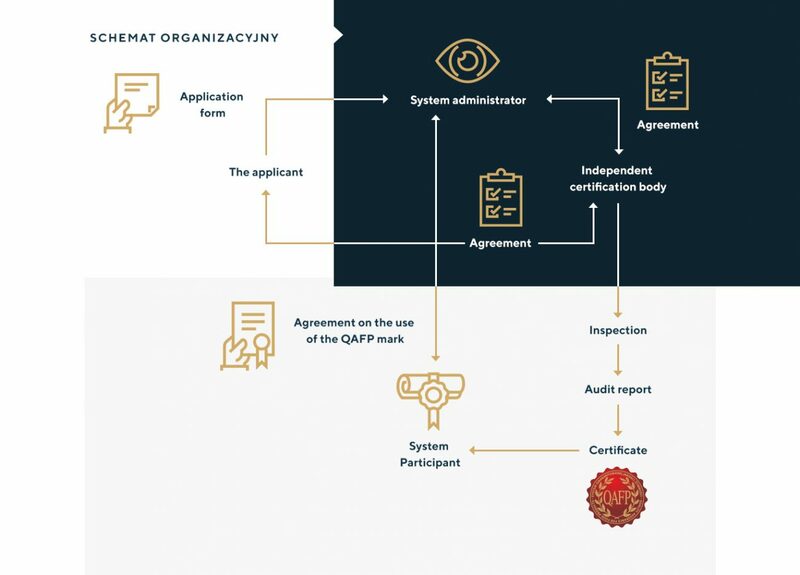 What is QAFP System about? it includes the procedures which guarantee safety and higher quality of the food which bears the QAFP mark. Website rebuilding financed with support of the Pork Promotion Fund and the Poultry Promotion Fund.